Cross-platform, cross-browser screenshot testing for modern user interfaces. Find bugs before your code is shipped to production. 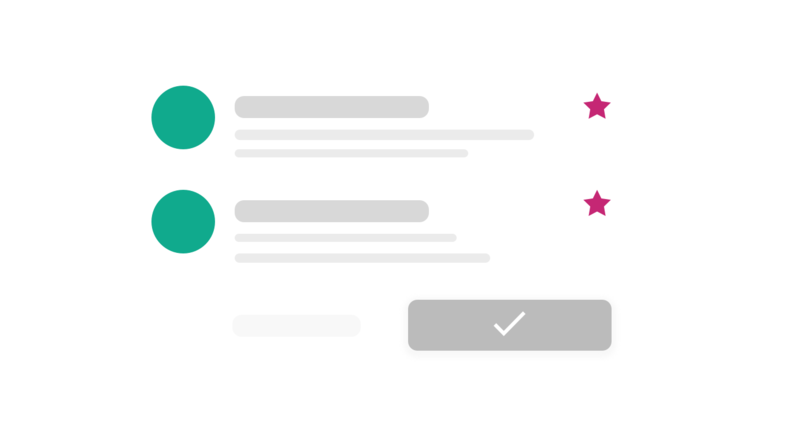 Visual regression testing with Happo lets you move faster and with more confidence. For web projects, Happo uses Chrome, Firefox, Safari, iOS Safari, Edge and Internet Explorer to take screenshots of components. Native apps can integrate directly with the Happo API. 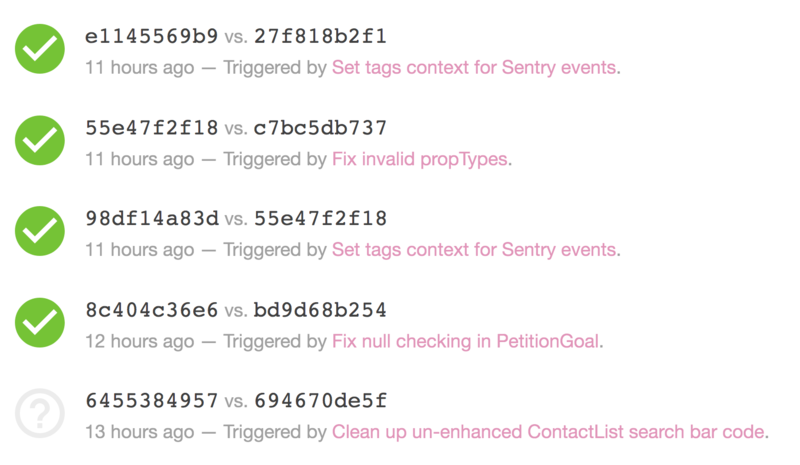 When you make a code change, Happo will take screenshots of your application's UI components before and after. If there is a difference between the two states, you'll be notified. A Happo report will help you understand exactly what changed. 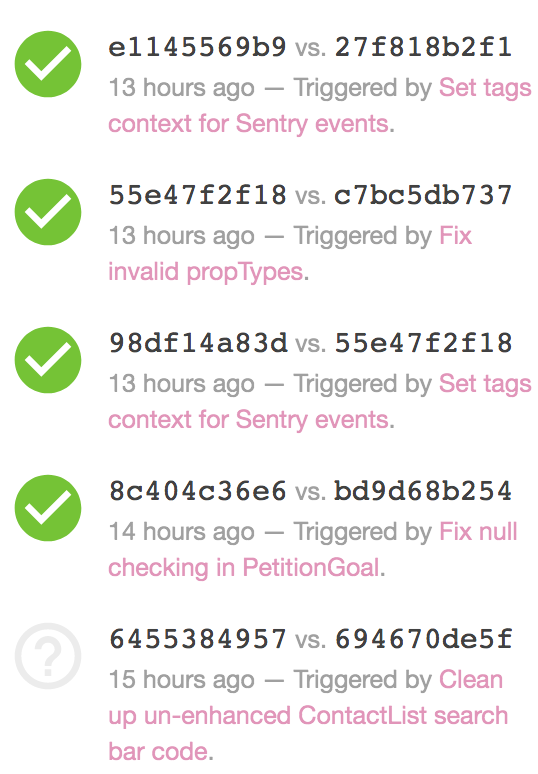 Happo hooks in to your CI environment. 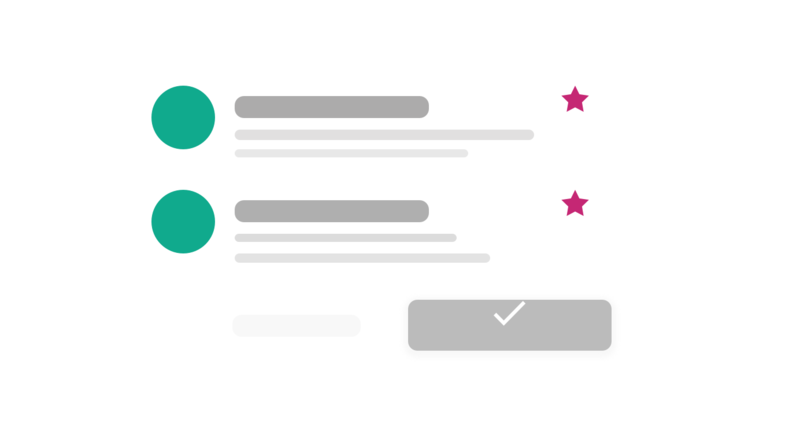 It works with all major CI services, including Travis CI, CircleCI, and Jenkins. Screenshots are generated in Chrome, Firefox, Safari, iOS Safari (on an iPhone), Microsoft Edge, and Internet Explorer. If you already have a component gallery (e.g. a style guide, a story book) you can generate examples on the fly, saving you the time to maintain two different sources.